We have been in business since 1907. 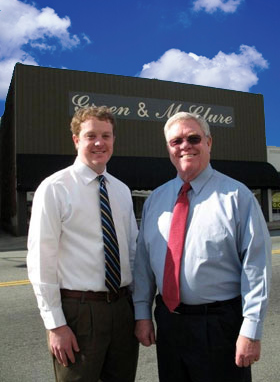 Green & McClure Furniture is a four generation family-owned business with a direct succession of four fathers and sons. Each generation has been heavily involved in our communities. We understand the importance of giving back. Our community involvement has been a great way to connect our business family to the local area that we’ve been serving for years. ​​In our 20,000 square foot showroom, we have a vast selection of fine home furnishings and accessories. 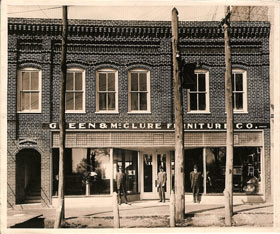 We have over a century's worth of experience and knowledge that has allowed us to become furniture experts familiar with serving and satisfying the needs of Alamance, Guilford, and Orange Counties. Come in today for personalized one-on-one service that you won’t get from big box stores. We are YOUR source for competitive prices and knowledgeable professionals who are here to help you every step of the way. Whether you need to replace an old mattress, or if you’re remodeling and need an entire room of furnishings, we will work with you to find items that fit your needs, budget, and lifestyle.